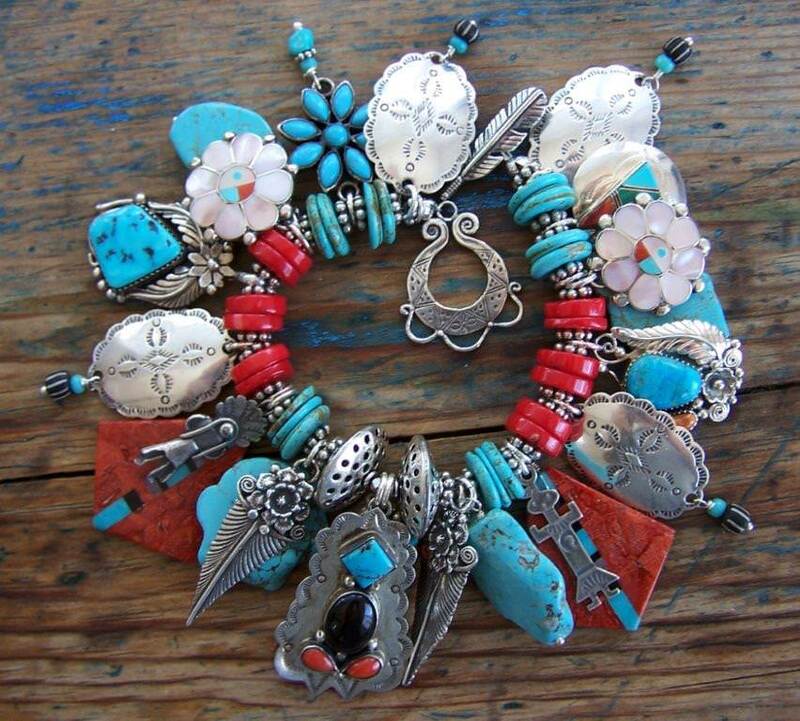 This 7.5″ to 8″ bracelet is indeed bright and cheerful, full of red coral and turquoise with a little pink of Mother of Pearl included in the pretty Zuni sunface charms. 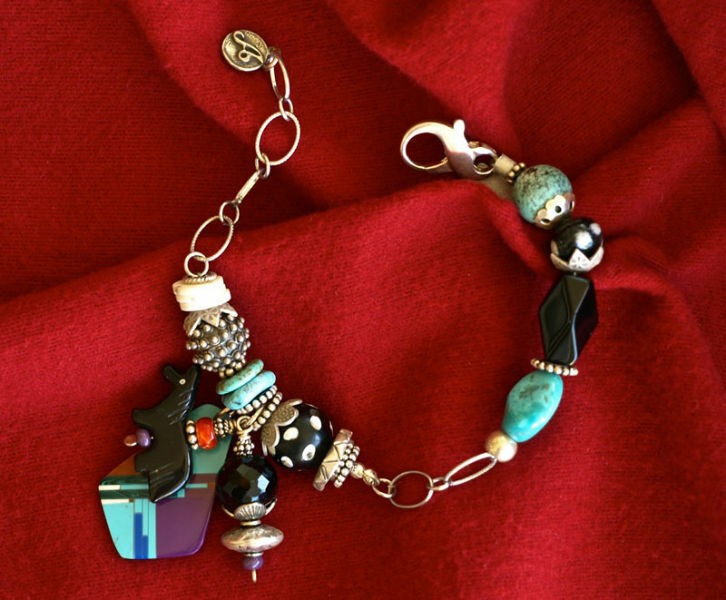 The handsome signed sterling silver focal charm is 1.3/4″ long and has four stones, onyx, turquoise and coral set in simple bezels, as well as hand stamping on the scalloped silver of the charm’s outer edges. Sterling silver flower feathers flank this charm. 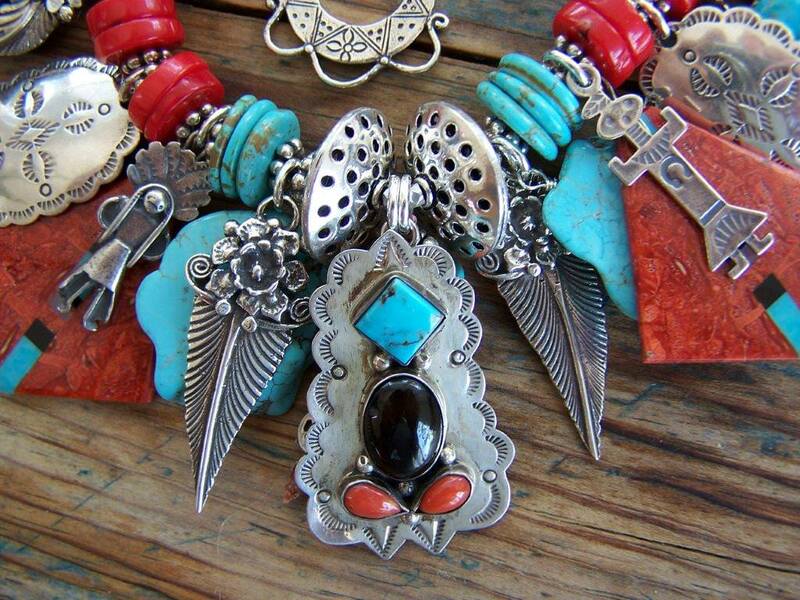 The large triangular charms are from the Santo Domingo Pueblo where they are specialties of several talented tribal artisans. 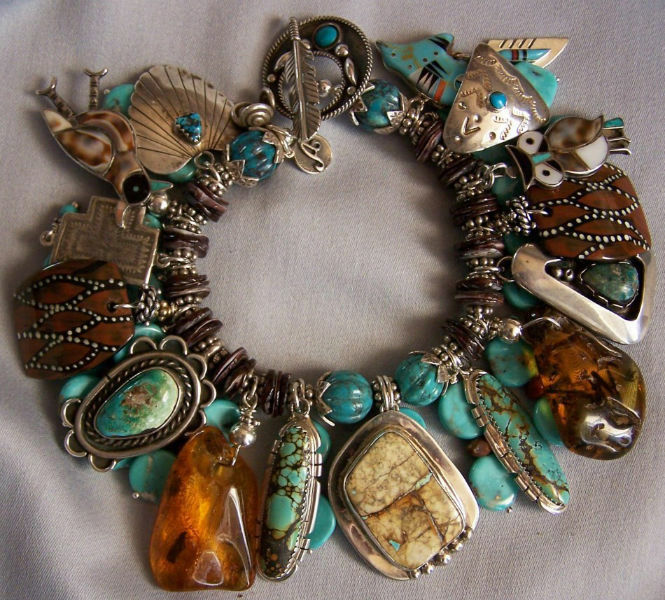 There are two hand made turquoise charms, one Navajo charm signed Timothy Lee, four sterling concho charms, a turquoise flower and four turquoise slab charms. 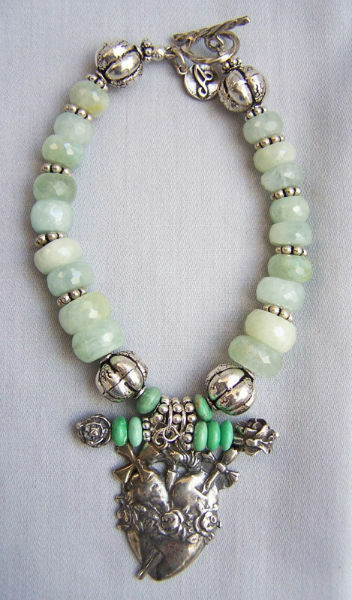 Others include a little Kachina charm and an Indian charm. 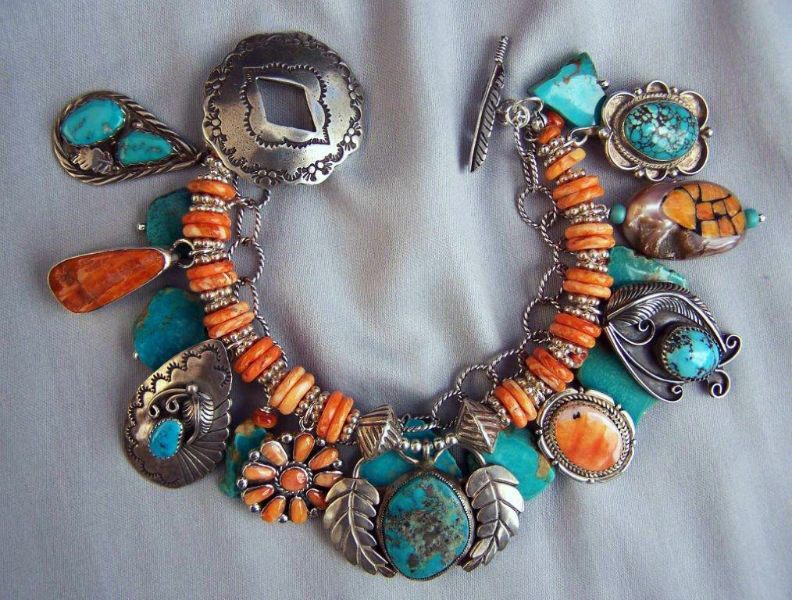 The band is a combination of coral and turquoise, with two large sterling beads and a sterling toggle clasp decorated on both sides. For a personal touch I’ve added two beaded dangles at the back of the focal bead, just to make the bracelet prettier from the back.